MR ARNOLD MC DONALD better known as BROTHER MACK of Greggs Village died on Wednesday 20th August at the age of 83. The funeral takes place on Sunday 31st August at the Greggs Seventh Day Adventist church. The body lies at the church from 1:00 p.m.. The service begins at 2:00. Burial will be at the Bascombe Cemetery in Greggs. MR SELWYN BLACK of Chateaubelair died on Sunday 17th August at the age of 77. The funeral takes place at the Chebar Evangelical church at Rose Place. The service begins 10:00 a.m. Burial will be at the Kingstown Cemetery. 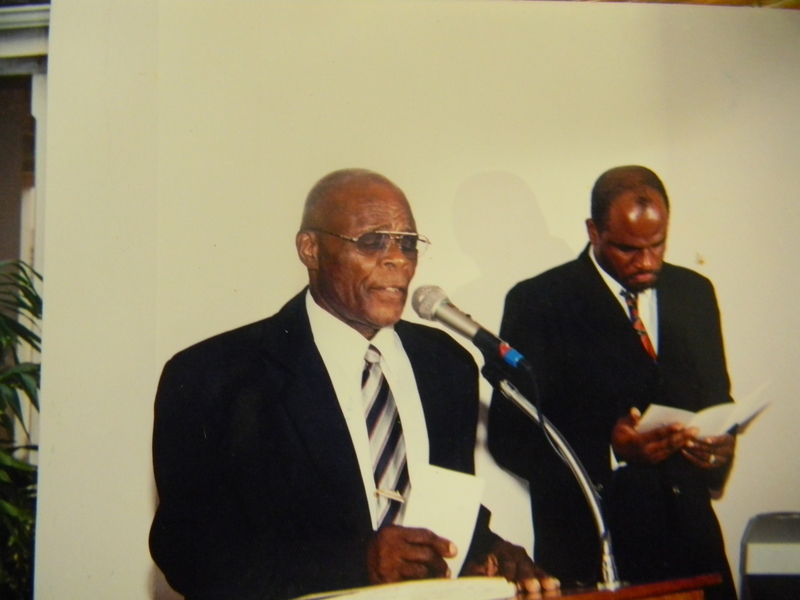 MR. ELVIS ARLENE AMBROSE PRINCE formerly of Campbell, Ashton Union Island died on Friday 15th August in Trinidad at the age of 87. The funeral takes place tomorrow, Tuesday 26th August at the Mt. Dor Seventh Day Adventist Church in Trinidad. The service begins at 2:00 p.m. Burial will be at the San Juan Public Cemetery. MRS ELISTA JOHN of Belmont died on Sunday 17th August at the age of 88. The funeral takes place on Tuesday 26th August at the Belmont Seventh Day Adventist Church. The body lies at the church from 2:00 p.m. The service begins at 3:00. Burial will be at the Belmont Cemetery. MR ALBERT O BRIEN better known as CHAMBERS of Villa and Belvedere died on Friday 1st August. The funeral takes place tomorrow, Tuesday 26th August at the St. Paul’s Anglican Church, Calliaqua. The service begins at 3:00 p.m. Burial will be at the Golden Vale Cemetery. MRS. MARGAURITE ANITA ROBERTS of Lodge Village formerly of South Rivers died on Thursday August 21st at the age of 77. The funeral takes place on Wednesday August 27th at the St. Georges Cathedral at 3.00 p.m. Burial will be at the Kingstown cemetery. MR. ATIBA O’GARRO better known as ATI of Old Montrose and Lodge Village died on Sunday August 17th at the age of 37. The funeral will take place on Wednesday August 27th at the Chebar Evangelical Assembly in Kingstown. The body lies at the church from 2.00 p.m. The funeral service begins at 3.00 p.m. Burial will be at the Kingstown cemetery. MR ALDERSON MORRIS of Chateaubelair and Georgetown died on Thursday 21st August at the age of 75. The funeral takes place on Thursday 28th August at the Holy Trinity Anglican Church at Georgetown. The service begins at 3:00 p.m. Burial will be at the Georgetown Cemetery.